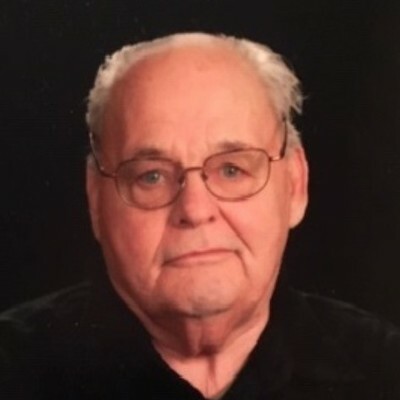 Michael Jerry Yurik, age 80, passed away Friday, April 12, 2019 at his residence in Spooner, Wisconsin. He was born on July 20, 1938 in Minneapolis, MN, the son of Michael Paul and Stella Josephine (Amundson) Yurik. He was united in marriage to Betty Pease on January 12, 2007, in Spooner, WI. Michael proudly served his country in the United States Army with an intelligence unit stationed both in the U.S. and Germany. In 2003, he moved to a home in Spooner, WI, where he enjoyed fishing, hunting, trips to the casinos, and helping the neighbors. Michael loved to travel especially with his wife, children and grandchildren and was very artistic and painted many pictures. He is survived by his beloved wife, Betty of Spooner; his children, Michele (John) Heffner of Isanti, MN and Shannon (Mike) Scheurich of Anoka, MN; his step-children, Randy Pease of Chippewa Falls, WI and Pam Pease of Madison, WI; his grandchildren, Kyle (Heather), Mary and Anna; his step-grandchildren, Jessica and Chris; and great-grandchildren, Steven and Jasmine; and many nieces, nephews and dear friends. In addition to his parents, Michael is preceded in death by his first wife Becky Yurik; sister, Joyce Erickson; and his step-son, Toby Pease. A memorial service will be held at 11:00 A.M. on Thursday, April 18, 2019 at Spooner Funeral Home, 306 Rusk Street in Spooner where visitation will be held from 10:00 A.M. until the hour of the service. Pastor Dan Hermanson will officiate. Interment will be held privately.